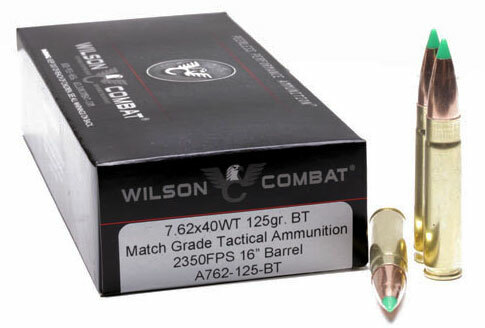 Wilson Combat has come up with a new cartridge, dubbed the 7.62×40 WT (Wilson Tactical). Basically it is a .223 Remington necked up to .308 caliber, i.e. a .30-.223 Rem Wildcat. The cartridge is designed to give .30-cal capability to a standard AR15, using the normal bolt assembly and standard AR15 magazines. An AR15 can be converted to shoot the 7.62×40 WT with just a barrel swap. Note: Don’t confuse this new cartridge with the 7.62×39, the Eastern Bloc military cartridge that has been around for decades. The 7.62×40 WT is not derived from the 7.62×39 in any way. The 7.62×39 has a larger rim size, more body taper, and requires a different magazine and bolt. There have been 7.62×39 adaptations for ARs, but most didn’t function well (usually because of magazine issues). Wilson Combat claims the 7.62×40 WT offers the hitting power of the 7.62×39, but with a cartridge design that feeds and functions 100% in an AR15. Here are comparative Velocity and Energy numbers for the 7.62×40 WT vs. other cartridges with which it will compete. 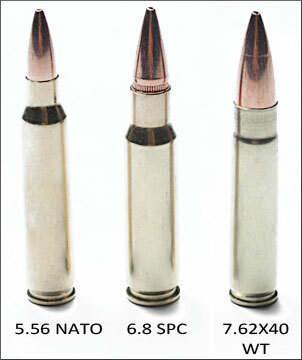 At first it looks like the 7.62×40 WT has more energy than a 7.62×39 and outruns a 6.8 SPC handily. But Wilson omitted some key data for the 7.62×39. Taking load info straight from the Hodgdon Reloading Center, a 7.62×39 can be loaded to 2408 fps with a 125gr bullet, or to 2192 fps with a 150gr bullet at relatively moderate pressures (under 41,000 CUP, or roughly 44,250 psi). 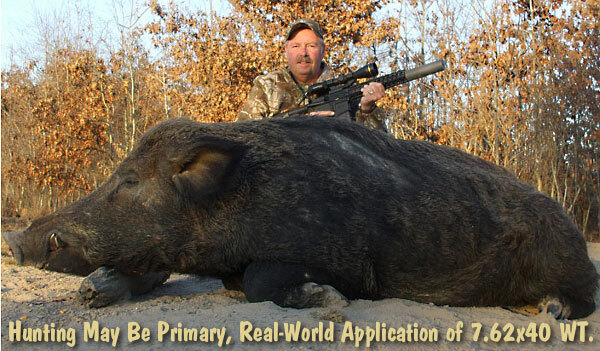 A 7.62×39 launching 150-grainers at 2192 fps generates 1601 foot-pounds, virtually the same as Wilson’s 150gr load. So, the 7.62×40 WT has no real advantage (over the 7.62×39). Is This Cartridge Needed at All? The “T” in 7.62×40 WT stands for “Tactical”, but we don’t think many police or military units will adopt this round. The 5.56x45mm is too well-established in the AR15/M16 platform and the 7.62×39 is the smart .30-Cal choice for an AK. So what, then, is the real “niche” for the 7.62×40 WT? 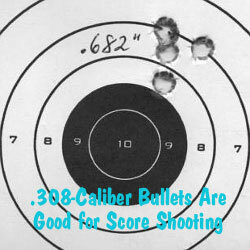 For home defense, it could be argued that the 7.62×40 WT is better than the .223 Rem because the larger, slower .30-Cal projectile has less penetration (through walls), but that would have to be demonstrated with real-world testing. Moreover, there are frangible .224-cal bullets that minimize the risk of over-penetration indoors. Some benchresters might even tinker with the 7.62×40 WT in a bolt gun for score competition, but we doubt it would prove competitive with the 30 BR which can push a 120gr bullet at around 3000 fps. Wilson’s cartridge does give a paper-puncher the ability to shoot a .30-caliber bullet from a rifle with a .223 bolt face, and that might be attractive to club shooters in informal score matches. Wilson Combat will be selling 7.62×40 WT loaded ammunition (with 110gr or 125gr bullets), but it is also supporting the reloading market. Wilson offers 7.62×40 WT brass, Hornady 7.62×40 WT dies, and you’ll find extensive load data on the Wilson Combat website. For those who want to put together a 7.62×40 WT AR, Wilson offers pre-chambered 7.62×40 WT barrels, as well as complete 7.62×40 WT uppers. Barrels start at $249.95, while the 7.62×40 WT uppers retail for $1024.95. 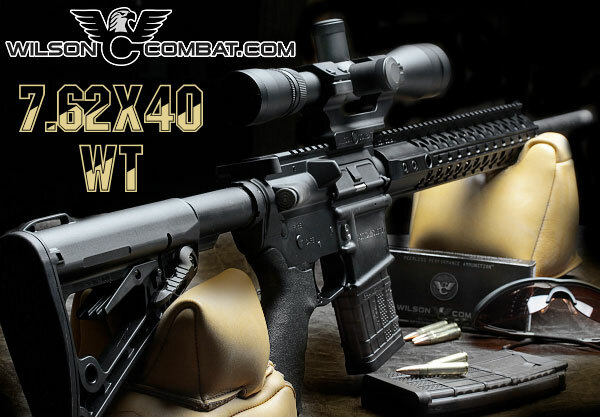 Share the post "Wilson Combat’s New 7.62×40 WT Cartridge for AR Platform"